You don’t need to be in the middle of a pest infestation to want to take steps to keep mice, roaches, and spiders out of your house. When it comes to pests, the old saying that an ounce of prevention is worth a pound of cure, is very true. We are Colorado Pest Management and we are experts in Integrated Pest Management. This is a method of pest control that uses knowledge of pests and their habits to outsmart them and outmaneuver them so they don’t become a problem in your home or business. We use ecologically safe methods and resort to harsh chemicals only after other methods have been tried. 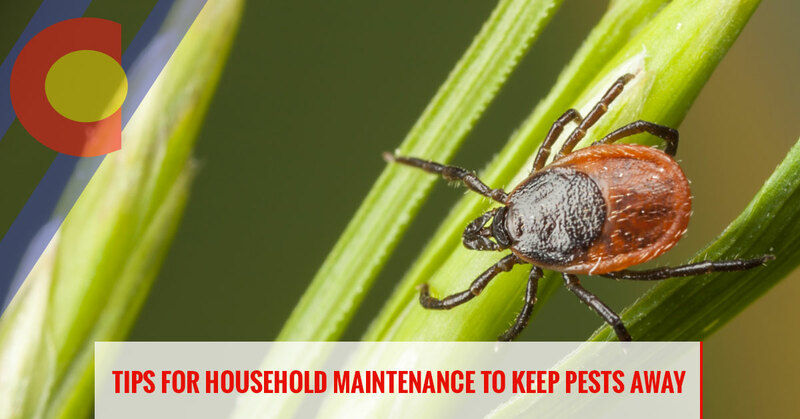 We consider this method of pest control to be environmentally responsible and we know it’s effective because we’ve seen it work time and again over the years. Water attracts pests, so making sure there is no standing water around your property will help keep pests away. Items around your property to check include your gutter system, to make sure it’s draining properly—both the main gutter on the house and the downspout—to make sure it is delivered away from the house. If you find that you have spots that turn into puddles after every rain, consider putting down pea gravel. Make sure your outdoor spigots are fully turned off and that there are no constant drips or leaks that could be used for a drinking water source for mammals and insects. Wet dirt under a faucet is also a great place for insects to live, so check the dirt under the faucet to make sure it is dry. Standing water in pot liners, bird baths, downspouts, buckets, etc., can be a breeding ground for mosquitoes. Be sure to check your property for standing water and dump out any you find. Dump out and freshen bird bath water every other day. One way to make sure that insects that belong in the garden stay there is to make sure there is a clear demarcation between the garden and the house. If you use mulch in your flowerbeds, make sure it is about two feet from your house so pests have to cross a no-man’s-land to get to your house. Bushes and other plants should also be away from the house so that pests don’t have a staging ground. Trim back branches from the house, too, so rodents and other furry beasts can’t get on your roof and find a home in your attic. If you have a water barrel or a compost pile, make sure it’s well-sealed so that it doesn’t become a feeding ground for pests. Some pests, while cute (we’re looking at you, raccoons ( you cute little trash pandas) are vectors for serious diseases. Check your home’s foundation for cracks. If you find any, grab some sealant and fill them in. It doesn’t take much of an opening for pests to exploit and gain entry into your house and set up shop. Check around your windows and doors for cracks. If you find any, put up weather stripping. Check your screens to make sure there are no holes in them where pests can get into your home. Pest control is most effective when the problem is caught early. If you can put in place measures that help avoid pests gaining a foothold in your house, it can be even easier to get them out. If you find that you have a pest problem, be it roaches, bedbugs, or rodents, call Colorado Pest Management for help. We will come out, do a thorough inspection, and custom design a pest program for your home.